Positive change happens when you put government on the side of kids. And that change comes from advocacy: people and organizations working together to find ways that government can and should act to keep kids safe and help them grow. Kids need your help. 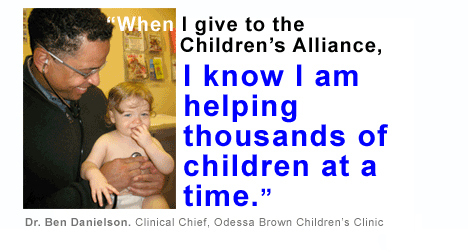 Your gifts of time, money, and action make policy work for kids. Give today, and your gift will change kids' lives today—and for generations.